Wipe the mushrooms and cut them in quarters. Open the tin of kidney beans, drain and rinse in a sieve. Heat the oil over a medium heat in a wok or saucepan. Add the cumin seeds and fry gently until they release their aroma. Toss in the onion and sautée, stirring often, until they are glossy and the raw smell has gone off them. Add the ginger-garlic paste and chillies. Continue to fry, over a low-medium heat, for a minute or two. Plop in the contents of the tomato tin and the tomato purée. Swish the tin out with water and add that to the sauce as well. Pop in the chopped mushrooms. Leave the lot to cook, for about 20 minutes, on a low heat, stirring often. Add the drained and rinsed kidney beans and the garam masala. Leave the lot to cook for another 10 minutes or so – just until the kidney beans are heated through. 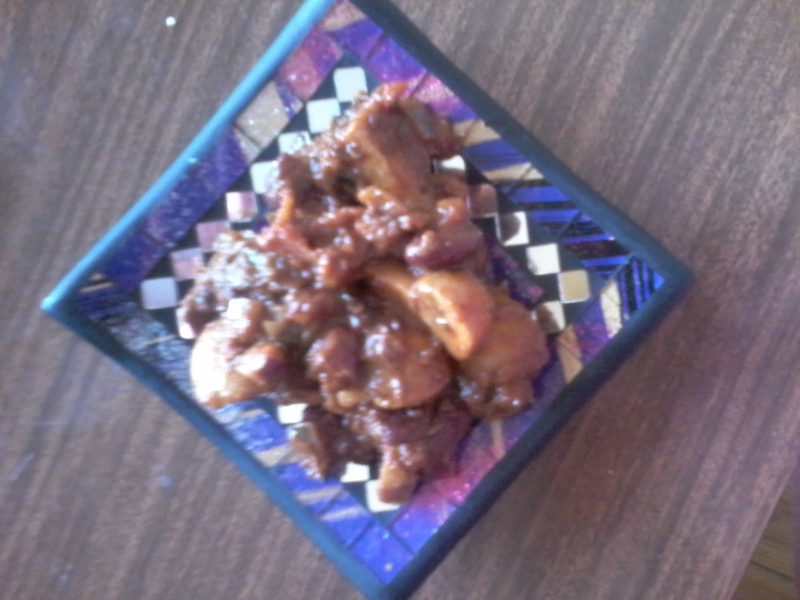 Posted on February 23, 2015 by Hazel Katherine Larkin	• This entry was posted in Austerity Bites, Recipe and tagged Curry, Kidney Beans, Mushrooms. Bookmark the permalink.